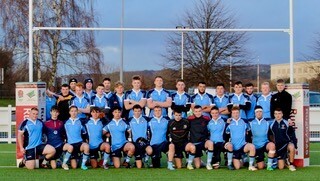 On a dry sunny day in Derbyshire, NLD U20s took on local neighbours Staffordshire in a pre-tournament match ahead of the forthcoming Jason Leonard cup matches. Both sides were eager to impress, bustling with talent and eagerness. The first forty minutes were a highly competitive stalemate as neither side could break the deadlock as defence won the first half. Plenty of changes were being made as the coaches of the two counties look to assess the quality and depth to their squads. In the second forty it was Staffordshire who established an early lead as they used their powerful centre partnership to split the NLD defence and score left of posts for a converted try. NLD soon began to gain ascendency. 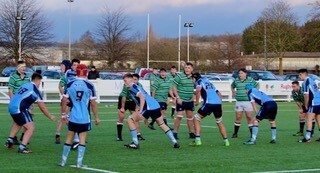 Having defended resolutely it was now the three counties opportunity to attack, and quick thinking by the backline saw the ball moved wide left for Josh Beech to run a well timed inside line, scything through the Staffordshire defence and evading the covering back three with his sheer pace to dot the ball down centrally for a well converted try. NLD soon showed their fitness as they began to stretch the Staffordshire defence on more frequent occasions, working well as a team and executing in their simple game plan. The home side were buoyed by a confident display and it was the turn of No.8 Josh Sarsfield whose quick thinking saw an opportunity present itself. The speedy back row, took a quick tap penalty and fended the nearest defend before getting in behind the broken defensive line. Despite the best attempts of the covering Staffordshire players no-one could capture the nifty back-row. To cap off a fine display, centre Rob Aikman used typical physicality and a fine inside running line to hammer the ball home right of the posts and round off the scoring for the day with Jamie Rudd converting. Matt Derbyshire (NLD U20s head coach) stated; “Considering we have a squad of newly nominated players that have only trained together once thus far, the display on show was a credit to each and every player. The guys looked like they enjoyed themselves out there and that is No.1 for us as coaches. “We have a very talented squad and that is a true testament to the strength of coaching we have across NLD and the three counties in both clubs, colleges and universities.